Born at Prescott, Grenville County, Ontario on 31 January 1866, son of Samuel Henry Evanson and Susan Kilpatrick, he was educated at Prescott. For several years, he was employed in railroading, first with the St. Louis & Ontario Railway at Prescott and later with the Canadian Pacific Railway at Sault Ste. Marie. He came to Winnipeg in 1903 where he was appointed Comptroller for the City of Winnipeg in 1915, holding the position until 1929. On 10 May 1888, he married Emily Blenkinsop Lawson at Montreal, with whom he had a son and three daughters. He served as Treasurer of the Winnipeg Industrial Exhibition, and held offices in the Union of Canadian Municipalities. He was a member of the Manitoba Fishing and Hunting Club, Assiniboine Curling Club, IOOF, and Masons. 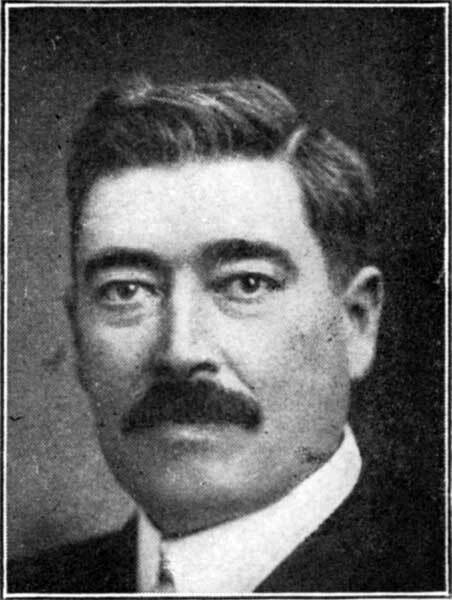 He served as President of the Manitoba Curling Association (1914-1915). He died at Winnipeg 29 January 1941 and was buried in the St. John’s Cemetery. He is commemorated by Evanson Street. Western Municipal News, February 1941, page 40.